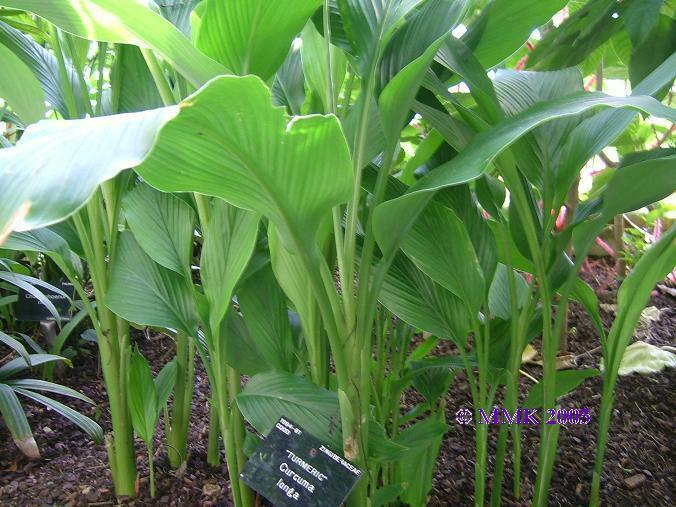 The turmeric plant is identifiable by both its characteristic tuberous root and the leaves that extend upward from erect, thick stems arising from the root. 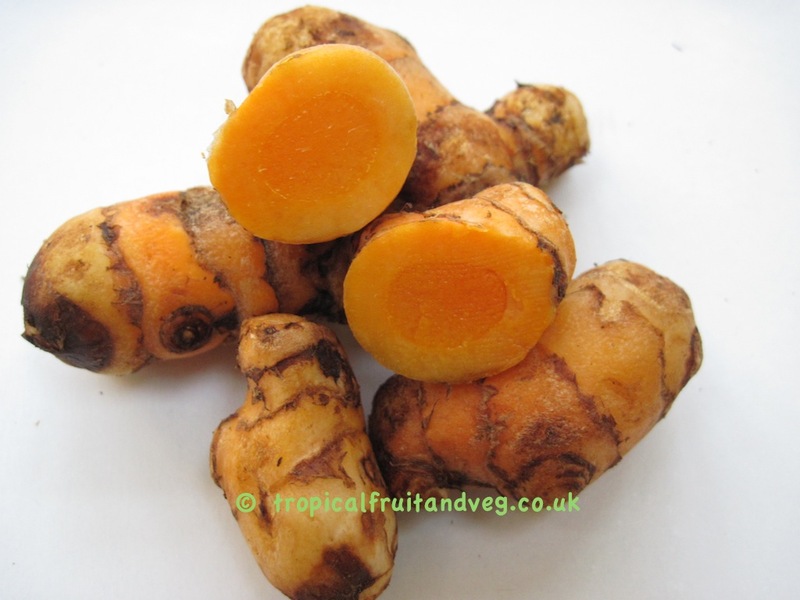 Turmeric root is actually a fleshy oblong tuber 5-10 cm in length and 2.5 cm wide. It is tapered at each end and its exterior can be yellow, tan, or olive-green in colour. 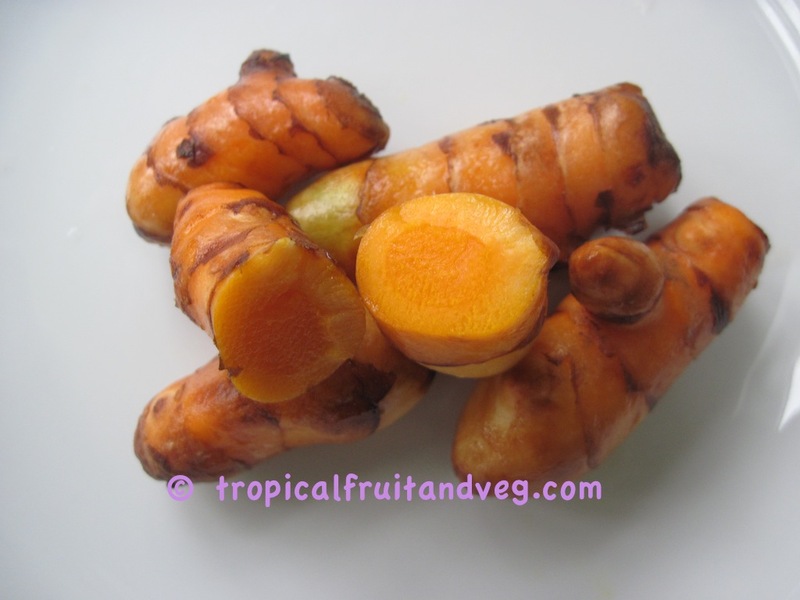 Turmeric grow in warm, humid climates and thrive only in temperatures above 30�C.